Rio Salado College | RioNews: Register for April 15 GED® Test Prep by April 3! Register for April 15 GED® Test Prep by April 3! 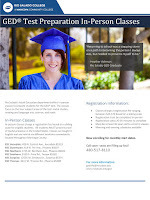 Begin your educational journey this spring! 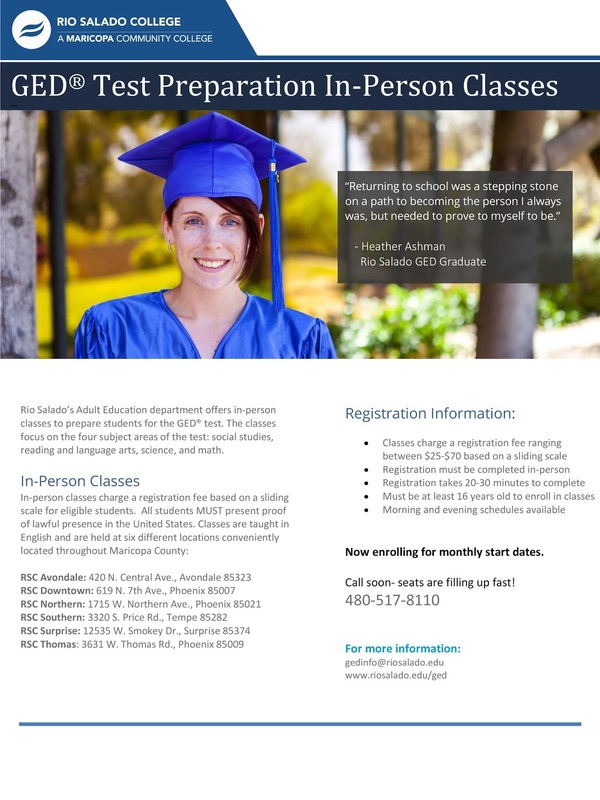 Rio Salado’s adult re-entry programs are designed to help students prepare for GED® tests, learn the English language and transition to college. The next set of GED® test prep classes begin April 15 and June 10. Apply by April 3 to get started April 15. Need help getting started or finding a Valley location near you? Call 480-517-8110, email gedinfo@riosalado.edu or visit www.riosalado.edu/ged. 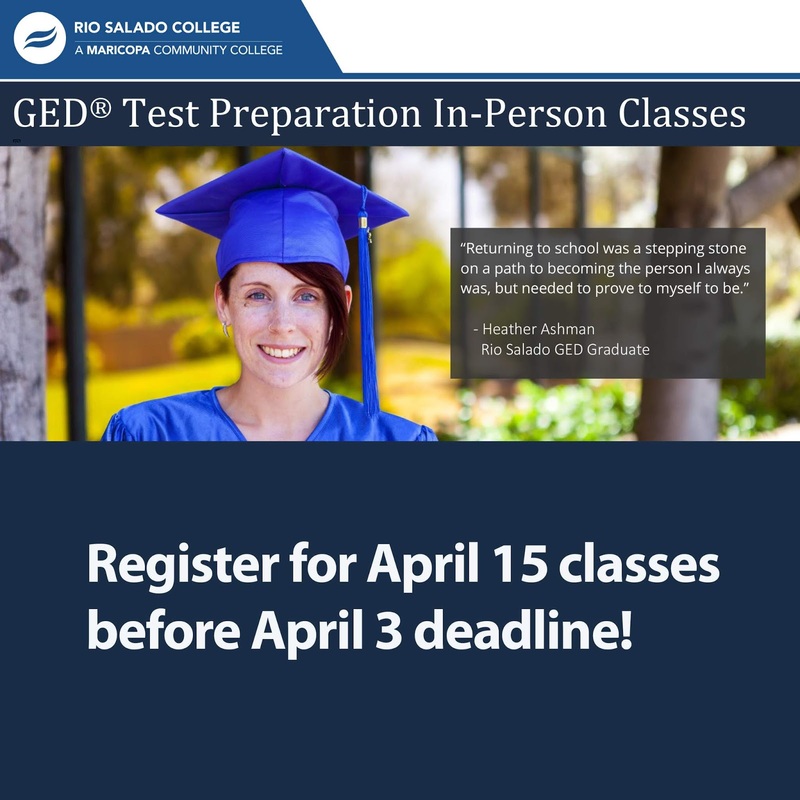 Rio Salado College serves as the principal provider of GED® test preparation programs for the Maricopa Community Colleges and the largest provider of adult basic education in the state of Arizona. Pictured here is Heather Lyn Ashman, Rio Salado’s 2017 High School Equivalency (HSE) student speaker. Learn more about her educational journey in RioNews.